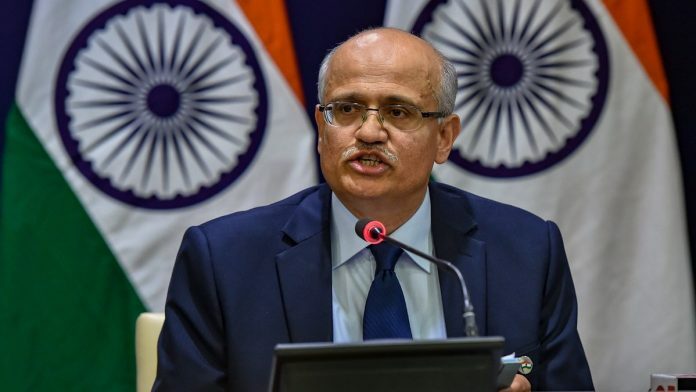 New Delhi: India eliminated a large number of Jaish-e-Mohammad (JeM) terrorists on Tuesday morning in non-military pre-emptive action, foreign secretary Vijay Gokhale said. In a press briefing, Gokhale said credible intelligence was received that JeM was attempting another suicide terror attack in various parts of the country, requiring a pre-emptive strike. “The government of India is firmly and resolutely committed to taking all necessary measures to fight the menace of terrorism. Hence this non-military preemptive action was specifically targeted at the JeM camp,” Gokhale said.